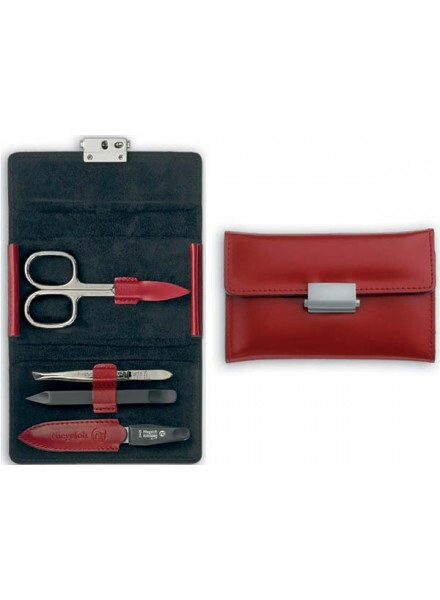 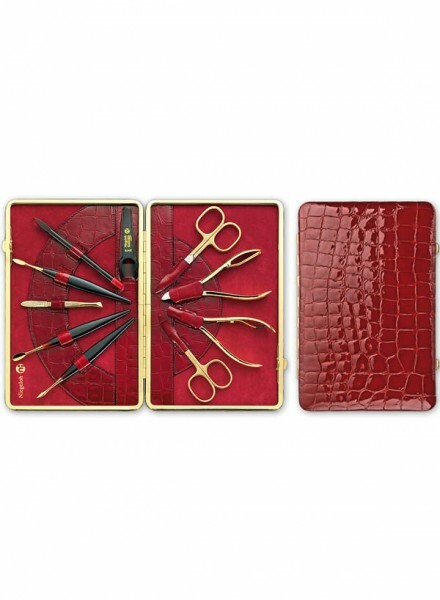 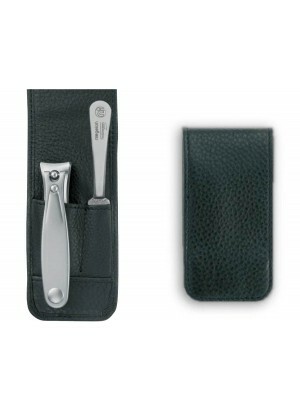 Women's manicure set Diabolo L is hand crafted in Solingen – the German city of blades known to the world for the first class cutlery. 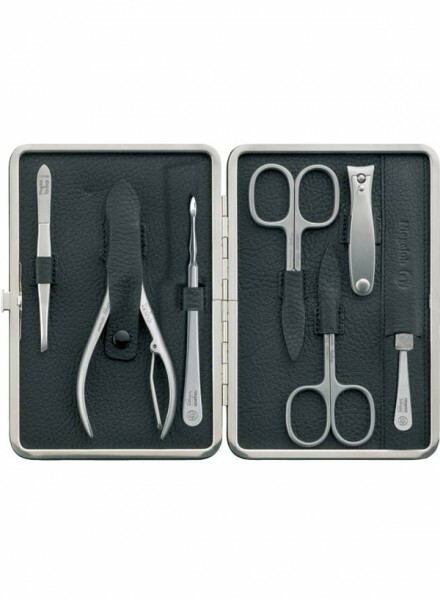 Special sharpening process is used to ensure the cutting edge is perfectly sharp and works beautifully on nails and cuticles. 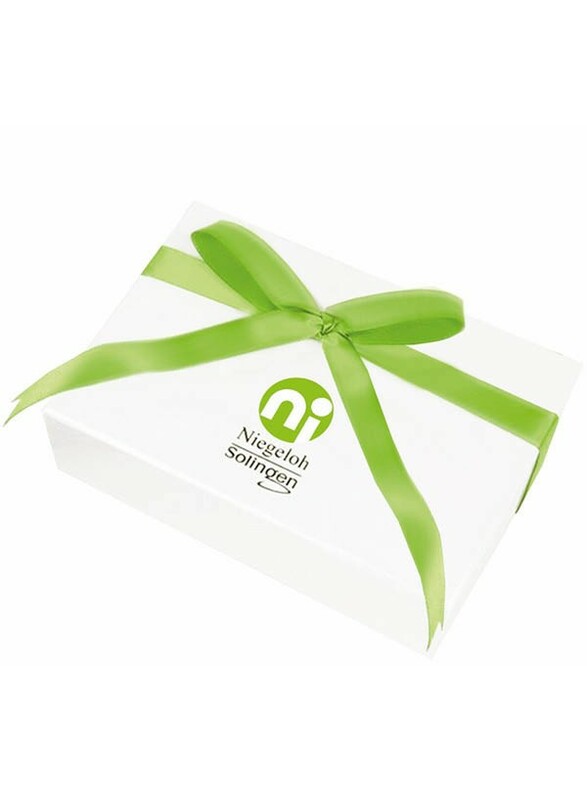 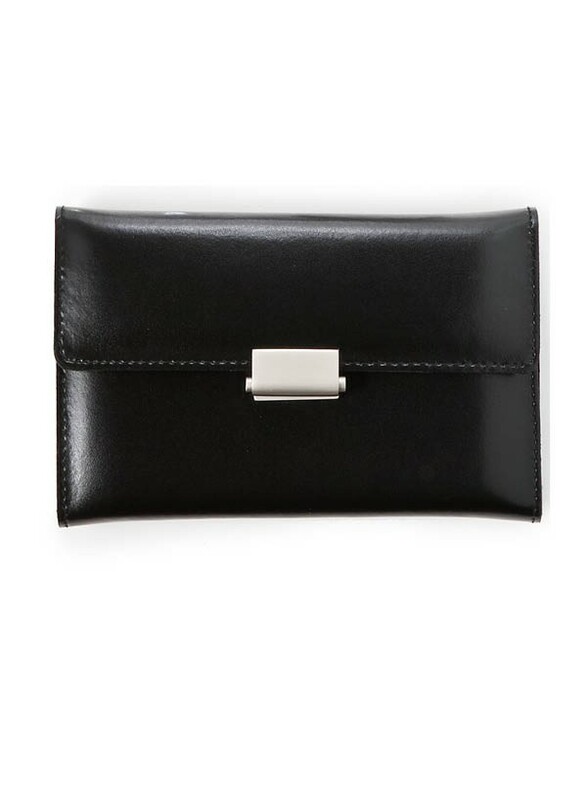 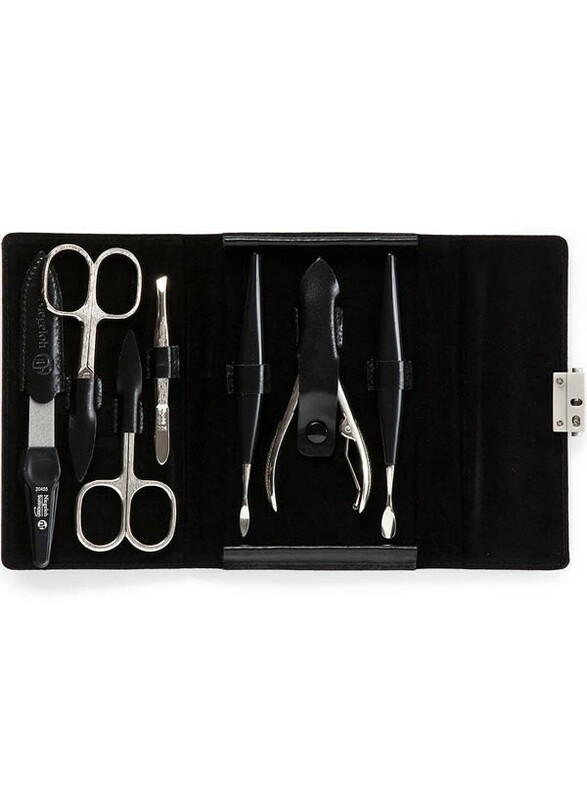 It contains 7 expert nail care tools made of nickel-plated steel with a brush finish and makes a beautiful gift for in a woman who likes the best things in life. 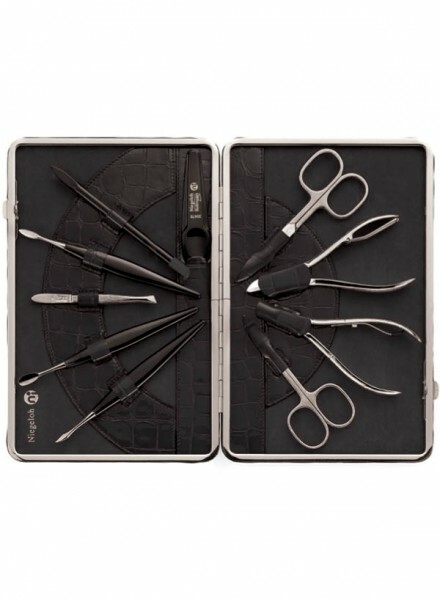 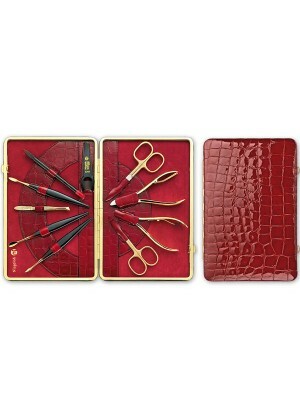 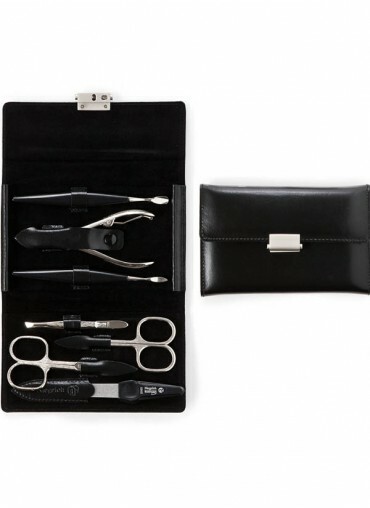 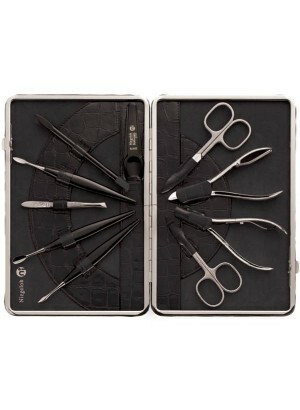 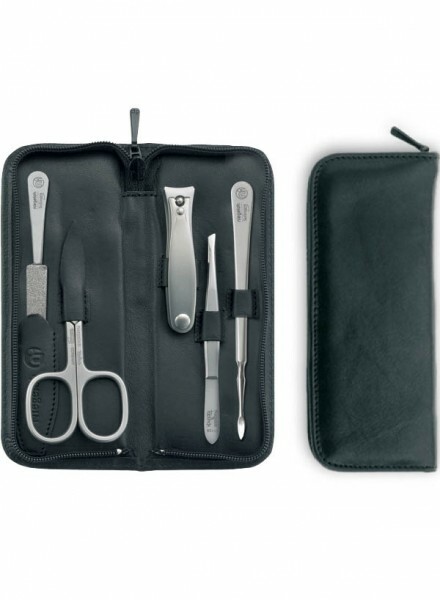 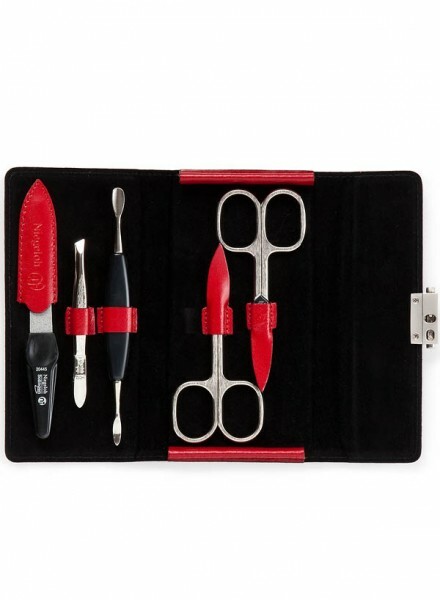 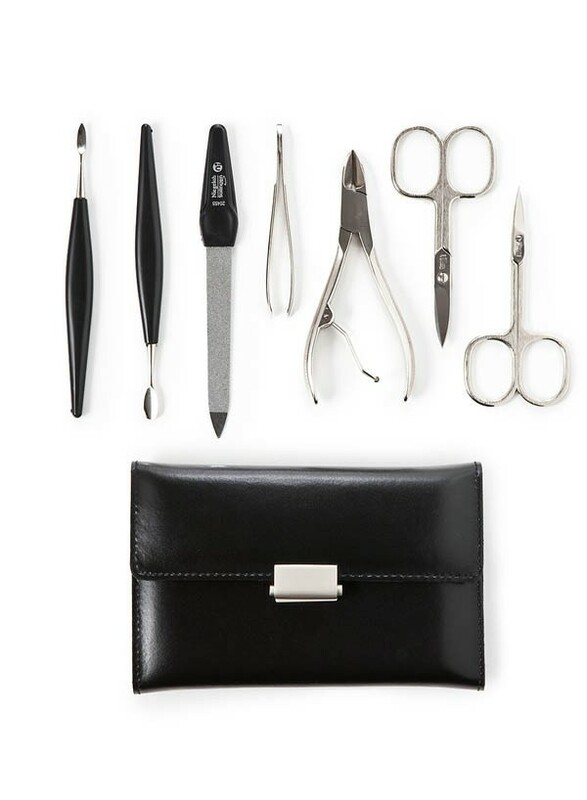 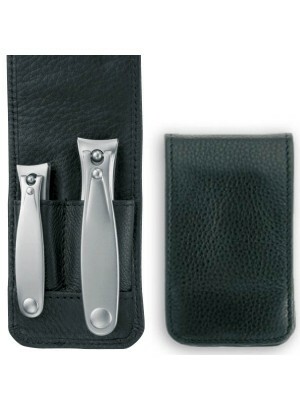 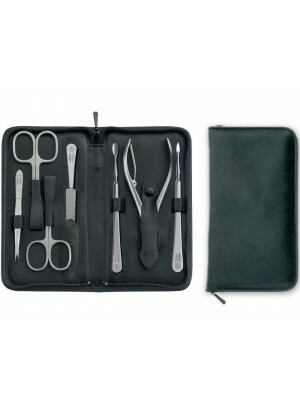 Nail scissors, cuticle scissors, slanted tweezers, nail nipper, sapphire nail file, cuticle pusher, nail cleaner.